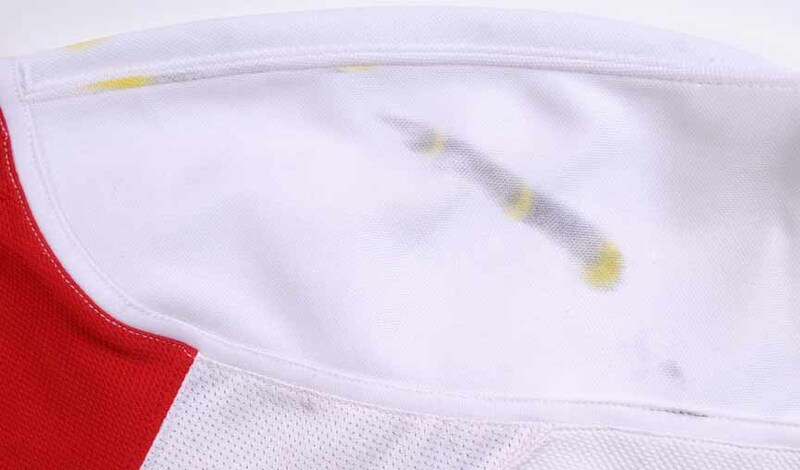 This white air-knit gamer by Reebok was worn by Tomas Holmstrom during the 2007-08 NHL season. 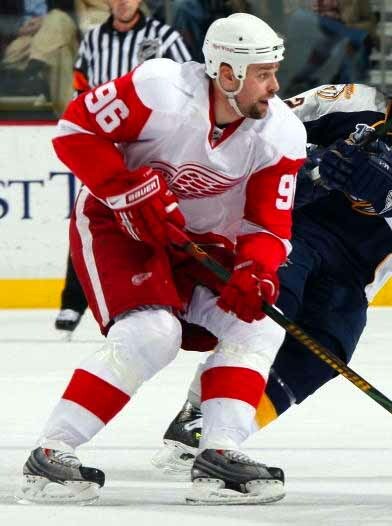 The Detroit Red Wings selected Holmstrom in the 10th round of the 1994 NHL Entry Draft. 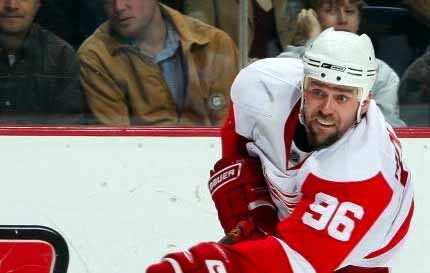 This Swedish born Left Winger has spent his entire 15-year, 1000+ game NHL career as a member of the Detroit Red Wings. During that time he has won 4 Stanley Cup titles. Serving as Detroit’s unmovable force in the crease, Tomas’ grit and determination have made him forever a fan favorite in the Motor City. Tomas has represented his native Sweden in the World Cup of Hockey as well as in two different Olympics. The game wear on this 1st set size 58 sweater is tremendous and consists of numerous stick and slash marks, board burns, board paint transfer, un-repaired burn holes, plenty of material pulls, inner pilling and a couple of handfuls of team-sewn repairs. 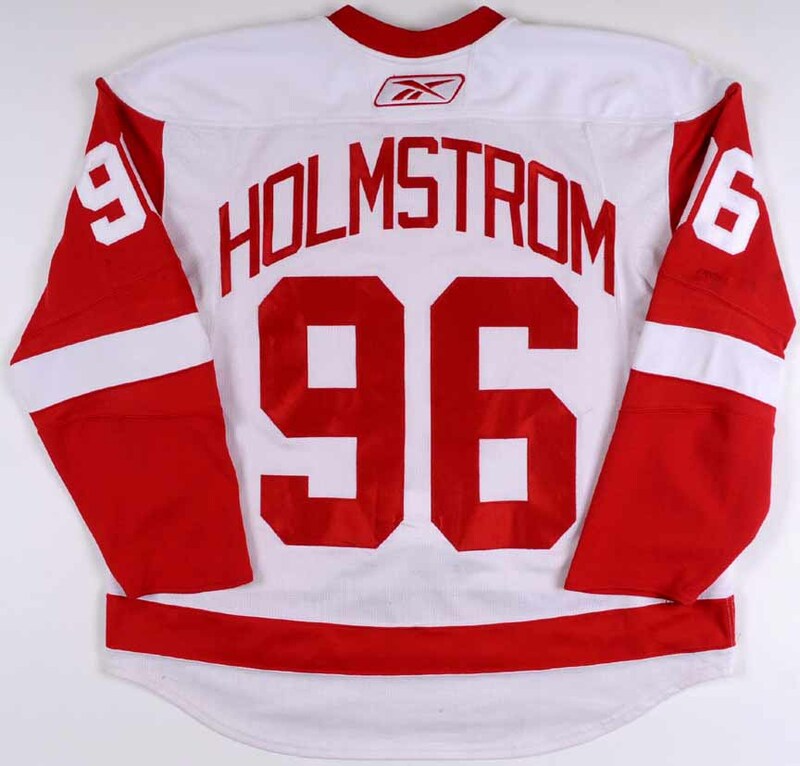 Shown above are several beautiful photo matches of Holmstrom wearing this exact jersey during the 2007-08 season. 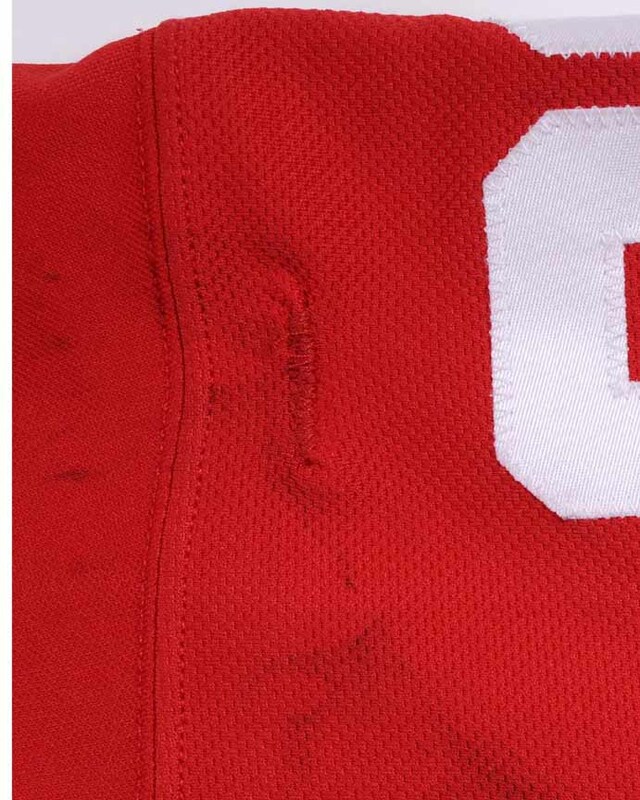 Sewn to the inner hip is the official Detroit Red Wings game worn jersey and set tagging. 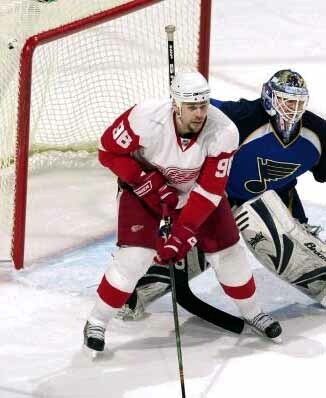 A tremendous battered photo matched offering from the last Stanley Cup winning season of the Steve Yzerman Era in Hockeytown! This jersey will be accompanied by a Red Wings team letter.